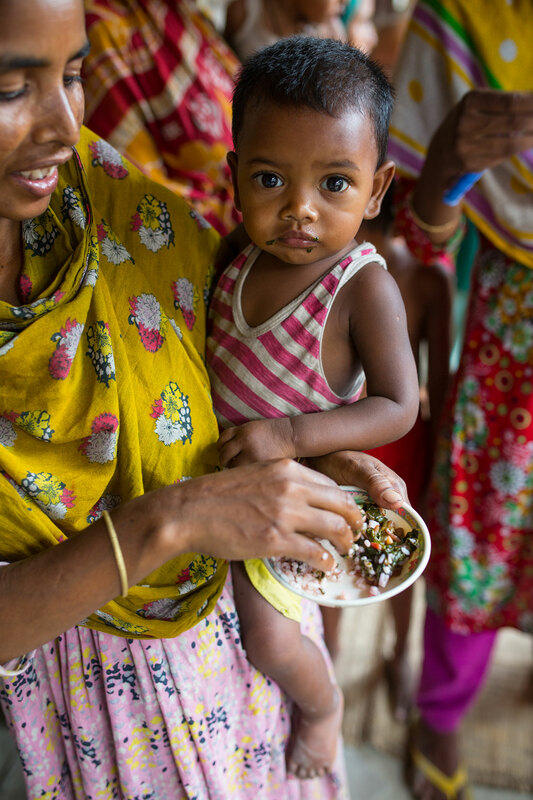 The Alive & Thrive programme scaled up infant and young child feeding interventions in Bangladesh from 2010 to 2014. In all, 8.5 million mothers benefited. Approaches – including improved counselling by frontline health workers during home visits; community mobilization; mass media campaigns reaching mothers, fathers and opinion leaders; and policy advocacy – led to rapid and significant improvements in key practices related to breastfeeding and complementary feeding. (Evaluation results are forthcoming.) Intervention design was based on extensive formative research and behaviour change theory and principles and was tailored to the local context. The programme focused on small, achievable actions for key audience segments identified through rigorous testing. Promotion strategies took into account underlying behavioural determinants and reached a high per cent of the priority groups through repeated contacts. Community volunteers received monetary incentives for mothers in their areas who practiced recommended behaviours. Programme monitoring, midterm surveys and additional small studies to answer questions led to ongoing adjustments. Scale-up was achieved through streamlining of tools and strategies, government branding, phased expansion through BRAC – a local non-governmental implementing partner with an extensive community-based platform – and nationwide mainstreaming through multiple non-governmental organization and government programmes.